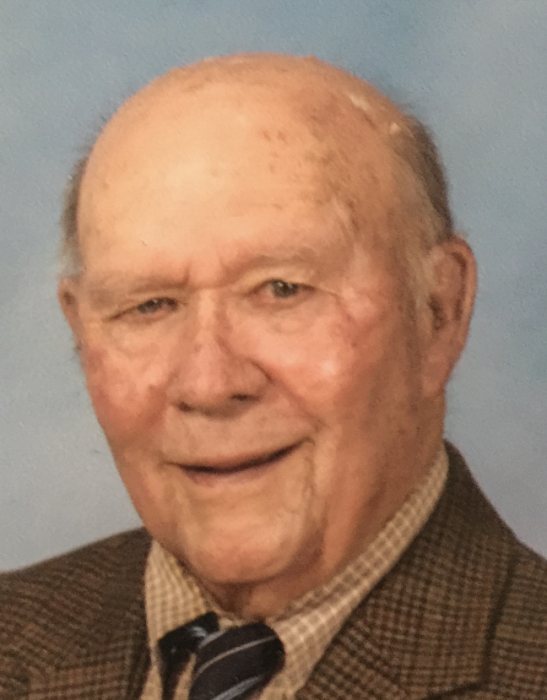 Kenneth “Ken” Wallace, 87, of Amarillo passed away January 14, 2019. Graveside services will be at 10:00 a.m. Friday, January 18, 2019 in Llano East Cemetery. The family will receive friends and loved ones for visitation from 4:00 p.m. to 6:00 p.m. Thursday, January 17, 2019 at Cox Funeral Home; 4180 Canyon Drive. Ken was born December 19, 1931 in Munday, Texas to Wilbur and Ruby Wallace. Ken grew up with the nickname “Tinker” to his family. He served his country from 1950 to 1954 in The United States Navy as a medical corpsman. Ken married Ellen Johnson on September 8, 1956 in Clovis, New Mexico. He owned and operated Golden Spread Insurance for 51 years. Ken loved going to coffee with his buddies, playing golf and going to the horse races. He will be remembered as a great husband, wonderful father and Dano to his grandchildren. Ken will be dearly missed by all who knew and loved him. He was preceded in death by his parents and a brother, Glen C. Wallace. Ken is survived by his wife of 62 years, Ellen Wallace of the home; daughters, Becky Commisto and husband Joe of Casa Grande, AZ and Kim Brooks and husband Steve of Amarillo; son, Wayne Wallace of Amarillo and grandchildren, Dalton Brooks, Peyton Brooks and Alexis Wallace. In lieu of flowers the family encourages memorial donations to Meals on Wheels of Amarillo; 219 SW 7th Ave., Amarillo, Texas 79101.